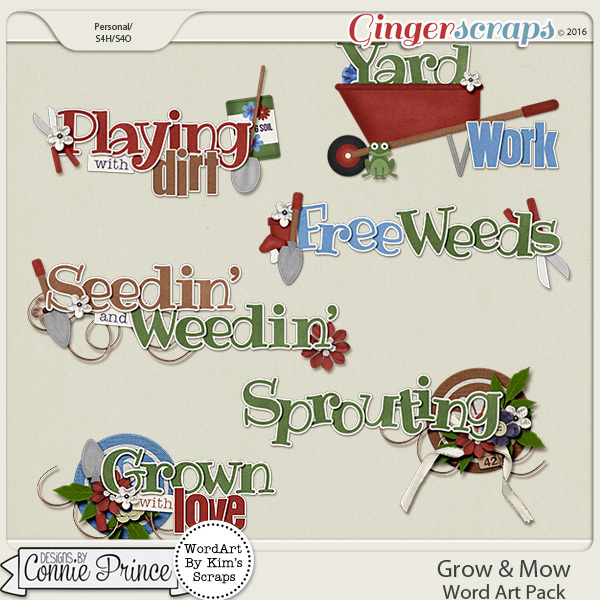 Connie Prince Digital Scrapbooking News: New May Buffet & NSD Grab Bag Sneak Peek Contest! New May Buffet & NSD Grab Bag Sneak Peek Contest! 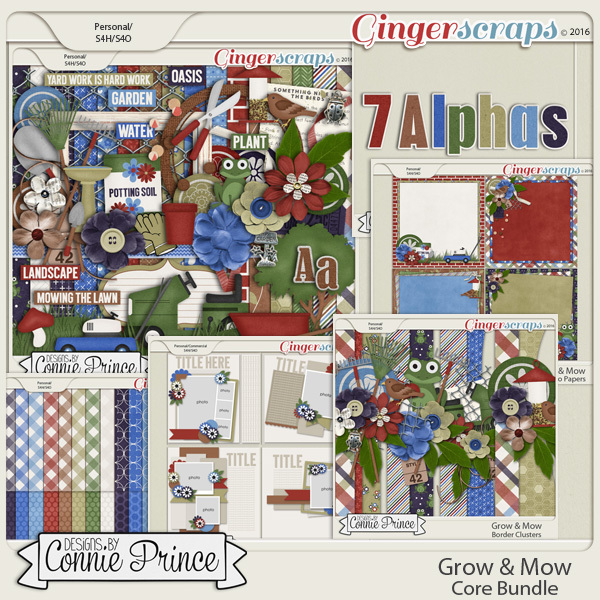 Hi everyone & happy Sunday :) Today's Sunday post is packed full of information as we gear up for May and National Scrapbooking Day festivities! First up, the May Buffet Sale starts today at Ginger Scraps. 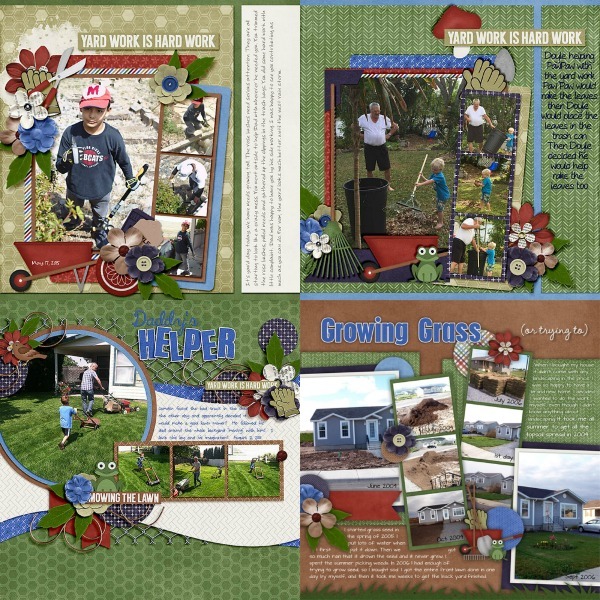 You can pick up my new "Grow & Mow" collection on sale through May 5. 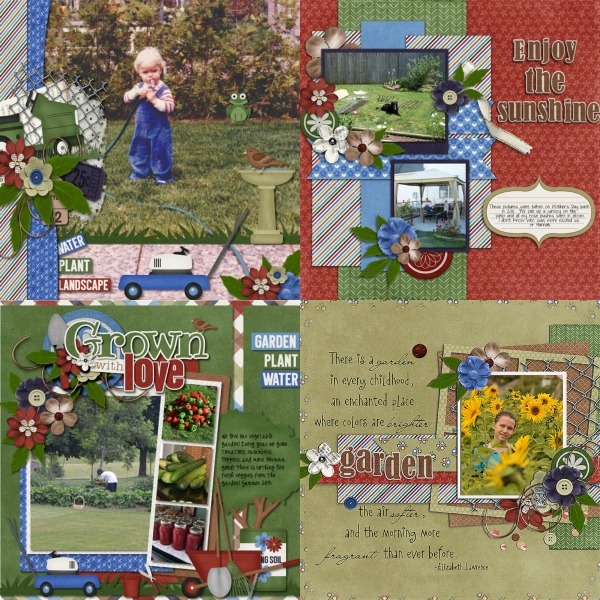 Love these super cute layouts using the new collection! My National Scrapbooking Day festivities will begin on Thursday, May 5. I will pick two lucky winners on Thursday! 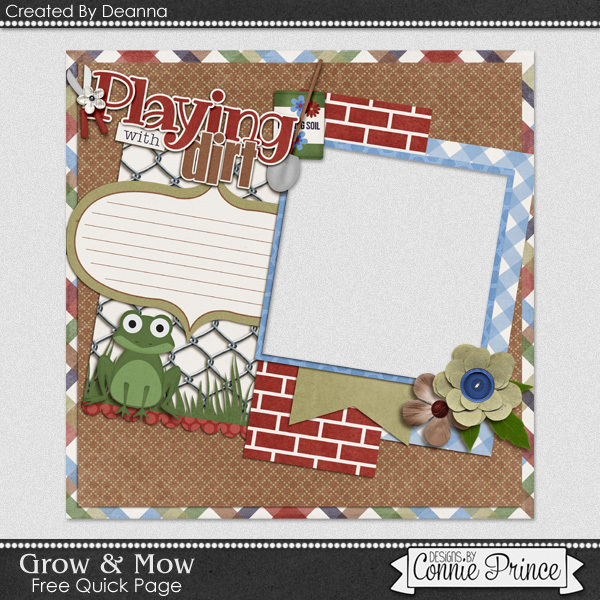 Free Quick Page by Deanna! Hi Connie!!!!! How are you???? I would love a chance at grab bag #1 (I think it will be perfect for some pictures I have coming up). Wow, the buffet looks fantastic and the sneaks are both so gorgeous!! thanks for all your hard work Connie! They both look great! I love the purple in the 2nd one, so that would be my choice. Thanks for the chance! Thank you so much for the cute gardening QP! I would pick the #2 (purple) grab bag if I was lucky enough to be chosen! Both look great!!! Thanks so much for the chance to win!! my daughter has her first ever singing recital so that one looks perfect! Thank You for the chance to win one. Thanks for the chance to win - these are both adorable! Grab Bag #2 - love those cassettes! Thank you Deanna for the great, as always:-), quick page. Both sneak peaks look fabulous. Love the colors and theme of #1. Thanks for the chance to win. Both kits look gorgeous, but from the sneak, the theme of 1 could be perfect for this summer. Wow hard choice as I love the theme of 1 and the colors of 2. My 9 year old says I have to go with grab bag# 2. They both look lovely! Thanks for the chance! Lori Earley, JLKKEarley@aol.com, Grab bag #1. Both look so cute! Thanks for the chance! My favorite colors -- thanks for the chance! Thanks for the opportunity to win and sharing your talent! Not sure if I made it in time, but I'll try anyway. I'd love Grab Bag #2(bottom).